Yesterday I was trying to hitchhike from Warsaw to Gdynia (approx. 350 km distance). After over 6 hours in a heavy rain I found myself only 90 km from the starting point. Guess that’s the price a guy pays for having a beard. 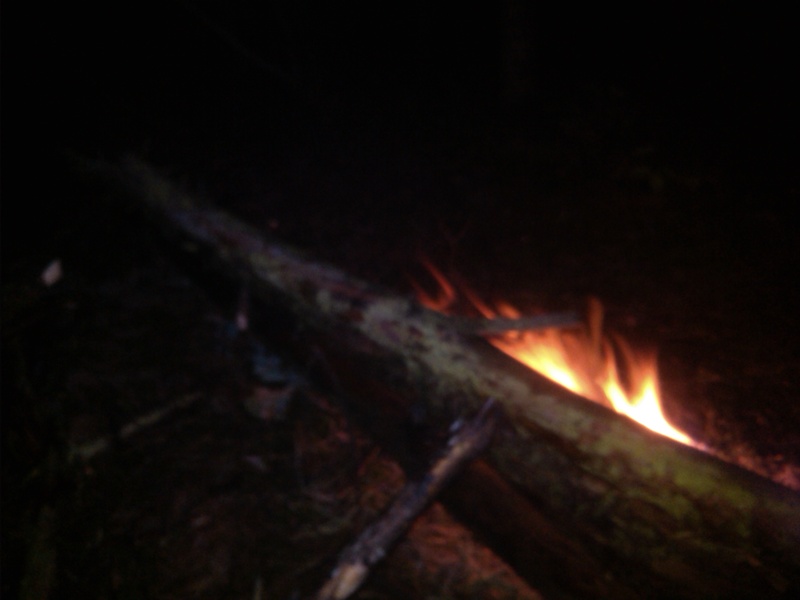 Anyway, I couldn’t stop shivering and it was starting to get dark, so I decided to spend the night in a forest by the road. Especially that there were some nice birch trees and I was hoping to find some tall dead trees leaning on others that could’ve stayed dry that way. I wasn’t disappointed. Good thing I had recently skimmed through the Mors Kochanski’s book and noticed a trick to break such trees into smaller pieces (if you don’t know it, look it up – very neat and useful). 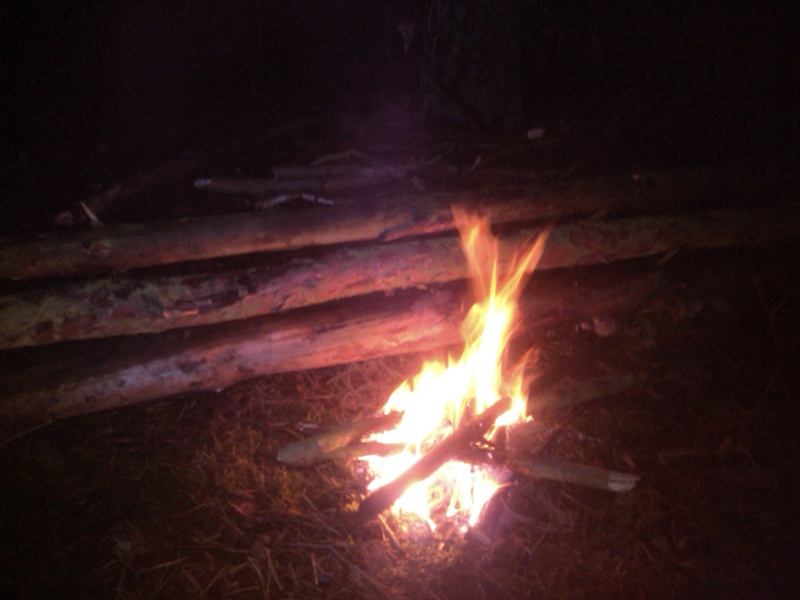 Another trick I remembered was stacking several logs to build a heat-reflecting wall. 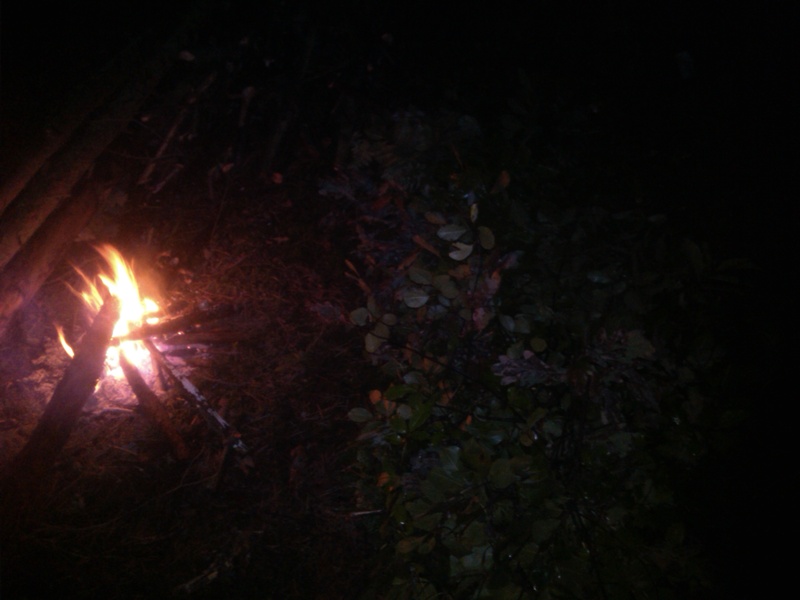 So I put it on one side of the fire and gathered some branches with leafs on the opposite side to sleep on. Later on I realized that putting that wall of dry wood right next to a fire was not one of my brightest ideas. I’m going to blame it on exhaustion from cold and not on my stupidity. Anyway, I moved the wall to the other side, so that it could reflect the heat onto my back. Since it was hardly higher than me laying on my side, and thus not very effective, later into the night it served as a fuel. It turns out that every year I find myself camping without any gear and then promise myself not to ever do that again. This time it wasn’t too bad – at least I was warm. But I didn’t sleep fearing the fire might get out of control. Guess I need more experience to gain confidence. This entry was posted on Monday, August 25th, 2014 at 7:36 pm	and tagged with bushcraft, camping, hitchhiking and posted in Uncategorized. You can follow any responses to this entry through the RSS 2.0 feed.